Advance your career in only 8 months! Our flexible RN-BSN program is specifically designed for the working registered nurse seeking a BSN degree. You will work closely with faculty to design meaningful clinical activities in your community. Interested in a dual application for a BSN degree & MSN degree? Do you already have one (1) year of work experience as an RN? 60 hours of prerequisite courses – completed at an accredited college or university. 40 of the 60 hours must be completed prior to applying for admission with a minimum of four (4) required life and physical sciences. All prerequisites must be completed at the time of enrollment. See prerequisite courses. A minimum GPA of 2.5 in all prior prerequisite courses. Required: a resume, all relevant transcripts & a personal statement of career, educational & scholarship goals (see personal statement guidelines). For an unofficial review of transcripts, please complete the following form and email to son.studentaffairs@utmb.edu or fax (409) 772-8211. Program designed for professionals seeking to advance their career in only two (2) semesters! The online coursework allows for a flexible lifestyle, with 24-hour technical support available for all students. Develop a leadership framework to enhance your career growth opportunities. Focus on decision-making and clinical reasoning skills. Practice utilizing evidence-based data to solve workplace issues. Gain a better understanding of your community’s health care needs. Courses must meet Texas Core Curriculum Requirements. Please refer to the advisor at your institution for information about Core Curriculum. For additional information, visit Texas Core Curriculum WebCenter at http://www.thecb.state.tx.us/apps/tcc/ and the Texas Common Course Numbering System at https://www.tccns.org. 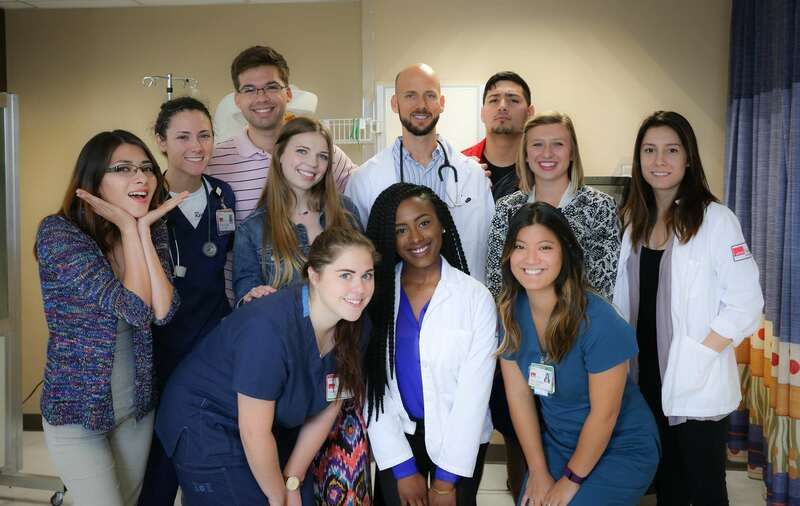 To obtain eligibility, applicants must meet all requirements of the standard RN to BSN program, hold an overall GPA of 3.0 in prior course work and have at least one (1) year of work experience as a registered nurse (RN).